When a witch is born, a doppelganger is created. For the witch to master her powers, the twin must be killed. Until now... Created by the merging of witch and doppelganger, Mirei is a unique being. Her extraordinary magic makes her the most poweful witch alive - and a notorious social outcast. While Satomi, the leader of the witches' ruling Primes, hails Mirei as a miracle, rival Primes proclaim that Mirei is an evil abomination...and that those who champion her must be destroyed. 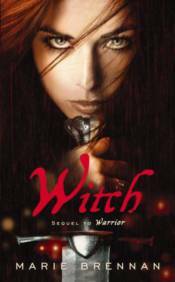 Now the different witch factions engage in a bloody war with magic, treachery, and murder. But both sides may be fighting for nothing. For the power that the rebel Primes fear, the magic that Mirei alone possesses, is killing her.